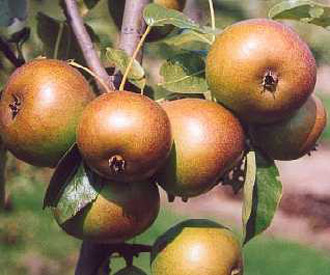 A delicious, very sweet, soft and juicy pear. Small round conical fruit. Smooth skin turning yellow when ripe with a red flush where exposed to direct sun. The flesh is white, tender and juicy. Very sweet with good flavour. Hardy tree which crops well.